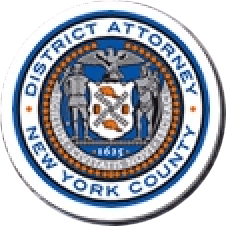 Manhattan District Attorney Cyrus R. Vance, Jr., today announced the sentencing of JEFFREY WONG, 42, to 25 years-to-life in state prison for the murder of Khemraj Singh inside the victim’s Hell’s Kitchen apartment in October 2014. On November 13, 2015, a New York State Supreme Court jury found the defendant guilty of the top and only charge in the indictment against him, Murder in the Second Degree. As proven at trial, at approximately 6:00 p.m. on October 14, 2014, WONG left a bar in Midtown Manhattan with Khemraj Singh, a 47-year-old Manhattan community board member and chief of staff of the McManus Midtown Democratic Association. The two went to Singh’s apartment in Hell’s Kitchen. Once inside, WONG assaulted Singh, beating him, strangling him, slashing him repeatedly, and plunging a knife into the victim’s neck, fatally severing an artery. The defendant left the victim’s lifeless body in the bathtub, where it was discovered one day later by one of the victim’s friends, covered with a shower curtain and bath mat. Assistant District Attorneys Dafna Yoran and Lisa Franchini handled the prosecution of the case, under the supervision of Assistant District Attorney Al Peterson, Chief of Trial Bureau 70, and Executive Assistant District Attorney John Irwin, Chief of the Trial Division.